The Oscars will be held this weekend. With glittering stars and dazzling movies, it is that one time each year that awards be given to film directors, notable actors and actresses, special effects, and all kinds of recognition of great movie work. Even faith films are in town. If you check out Faith Films, you would see some movies due to be launched this year in Canada. The movie "Risen" has already been launched. As the title has suggested, it is about the eyewitnesses take on the resurrection of Jesus Christ. Dramatized from the eyes of a non-believer, a member of the powerful Roman military establishment, the story revolves around the tensions after Jesus was crucified. Another film that will be coming out on March 11th is a film called, "Miracles from Heaven." The story is about an incredible series of miracles that started with the discovery of an incurable disease in a 10-year-old girl named Anna. It sparks off a mad search for a cure, a doomed diagnosis, an accident, and a turn to faith. In real life, the making of the movie has impacted the lead actress, Jennifer Garner, so much that she has now made a point to take her own real life daughters to Church regularly. 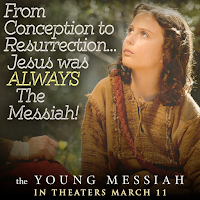 This is a dramatized version of a young girl who in 2011 was amazingly healed after a near death experience. It is a powerful movie about family, based on a book written by Anna's mother, Christy Beam. Poised to be a hit with family and Christians, this movie is a tear-jerker that forces viewers to come face to faith with the supernatural, faith, and how it impacts our day to day living. I am looking forward to this film release. 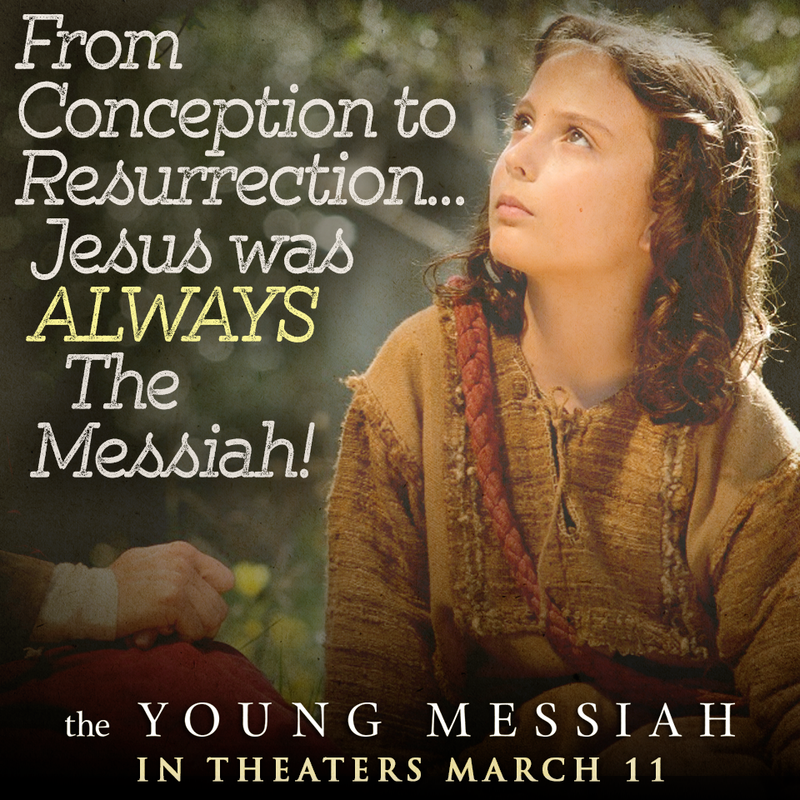 This week, I watched a preview of "Young Messiah," a movie that focuses on the life of young 7-year-old Jesus and his intimate relationship with his parents. Based on a novel written by Anne Rice, the storyline revolves around the dangerous journey taken by Joseph and Mary during the tumultuous time of King Herod, the Jewish rebellion, and the dangers faced by Jews in the midst of harsh Roman rule. Filmed on location, the film is set in beautiful scenery. Since the Bible has very little description on the life of young Jesus, there is a lot of imagination and dependence on Rice's "Christ the Lord: Out of Egypt" to fill in the gaps. What about consumers? What can we make of faith films? Are they real enough to be believed? Are they too fiction for comfort? Are they simply another Hollywood movie under the guise of a Christian label? Let me offer three thoughts this week about faith films. First, every movie is a director's perspective. Like many of the movies, they are all dramatized versions and fictional retelling of a basic historical aspect of Jesus' life and the Christian faith. There is no need to go on a witch-hunt to determine how true is one film over the other, and how accurate it is in depicting the truth of the Bible. The key thing is that all the films are interpretations of a part of the Bible story from the lens of the movie makers. They are all made with the modern viewers in mind. The flurry of faith films that is coming out of Hollywood tells us that more and more directors are aware of the huge market in religion and spirituality. The spending power of Christians in churches around the world cannot be underestimated. Any business with a megachurch in town will surely do well to target this segment of spenders. The movie, "Heaven is For Real" may have been based on the story of the boy, Colton, but the story was told from the perspective of the father, Todd Burpo. Like any retelling, there is always a personal perspective infused into the storyline. While we may not be able to distinguish exactly what parts of the movie are on whose perspective, it is good to keep at the back of our heads that this is just one particular perspective. Second, criticism of movies and the storylines is legitimate but do not let criticisms overwhelm the intent of the movie makers. The movie website "Rotten Tomatoes" is a popular place where people dish out their two cents worth of reviews about each movie released into the marketplace. Like real life situations where people throw tomatoes at horrible performances on stage, reviewers often throw all kinds of criticisms on movies that fail to meet certain expectations. Sometimes, the measurements can be quite ambiguous. Is the number of tomatoes thrown equal to the quality of the movie? Not really. Sometimes, a controversial movie may trigger a barrage of emotions that do not necessarily reflect on the true performance of a movie. Third, enjoy the story. 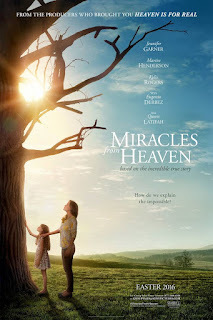 Whether it is a feel-good movie like "Miracles From Heaven" or a shocking rendition like the gory scenes of "The Passion of the Christ," going to the movies is essentially about the experience. Appreciate the movie for what it is, but let the questions drive us on our own personal research or discovery of the truth. Just like what I call a good Bible Study session. A good Bible study for me is not about the number of answers that one can derive after the study but the lingering questions that keep one's curiosity going. Getting one answer may be good after one session. However, leaving with questions can lead us onto more than one answers that enrich our learning experience. As an avid movie-goer, I appreciate faith films although many of them still do not match the standards of a modern Hollywood offering. Fortunately, things are changing. More movies are now been made, thanks in part to successful launches by initiatives by Sherwood Pictures (Fireproof, Courageous, War Room). In fact, while I support faith films, I think it is more important to go to the movies with a Christian worldview to interpret the film and not become vulnerable to the shaping tendencies of movies. Like a measuring tape that has absolute boundaries in metric or imperial units, our worldview enables us to discern what is good and what is not. Personally, I find movies with vulgar language and excessive violence very off-putting. Generally, I would switch off and avoid such movies. This is one reason why I find faith films more acceptable. I understand modern movies try to be as "realistic" as possible about contemporary culture. Yet, I feel that we should not be "educated" by vulgarity or violent behaviours. We should stand up for what is right, what is beautiful, and what is holy. The perspective we bring into films is equally important. Be aware. Be critical where needed. At all times, learn to enjoy the movie and not be stuck on criticisms. After all, going to the movies is more about an experience, not a school research project.